We’ve been dropping hints for the past few weeks here on the blog, and the time has finally come when we can officially unveil the release of COMSOL Multiphysics 4.3b. Five new products extend our product suite, and there are plenty of new features to enhance your simulation experience. The latest version of COMSOL Multiphysics is here, and you do not want to miss out on the news. 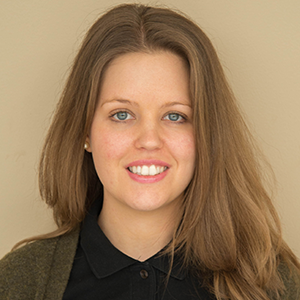 Over the past several weeks on the blog, we’ve identified difficulties in simulating problems within wave optics, molecular flow, and electrochemistry, and highlighted the need for the ability to model multibody dynamics and semiconductor applications. You didn’t think we were going to leave it at that, did you? 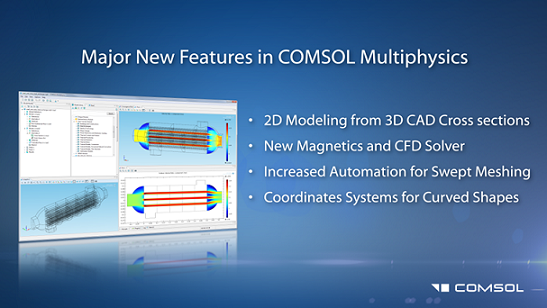 Learn all about these brand new additions to our product line on the COMSOL Multiphysics 4.3b Release Highlights page. New simulation capabilities and enhancements have been added across all application areas, from our base package to the multipurpose tools, and each module in between. The Release Highlights page contains a full and detailed list of the new capabilities released with COMSOL Multiphysics 4.3b. Want to learn more about COMSOL Multiphysics 4.3b? We will continue to cover the new add-on modules as well as the extended capabilities of our software on the blog — be sure to check back often. There are also many other ways for you to learn more about the latest release. For one, we are hosting a webinar introducing COMSOL Multiphysics 4.3b on May 14th. In the meantime, you’re also advised to browse the Release Highlights page, watch the release video, and check out the press release. Don’t forget to share these updates with your colleagues and friends — and let us know how you like the release, too. We’d love to hear from you in the comments section below and on our social media pages!